You can find plenty of fun and free things to do in Gatlinburg, TN. Along with people-watching from the free trolley or a window-shopping stroll along the bustling Parkway, visitors enjoy free entry to every attraction inside Great Smoky Mountains National Park – the only national park in the country with free admission. There are multiple scenic motoring and hiking excursions nearby. Here are some points of interest that are both free of charge and potentially some of your most splendid memories during your stay. 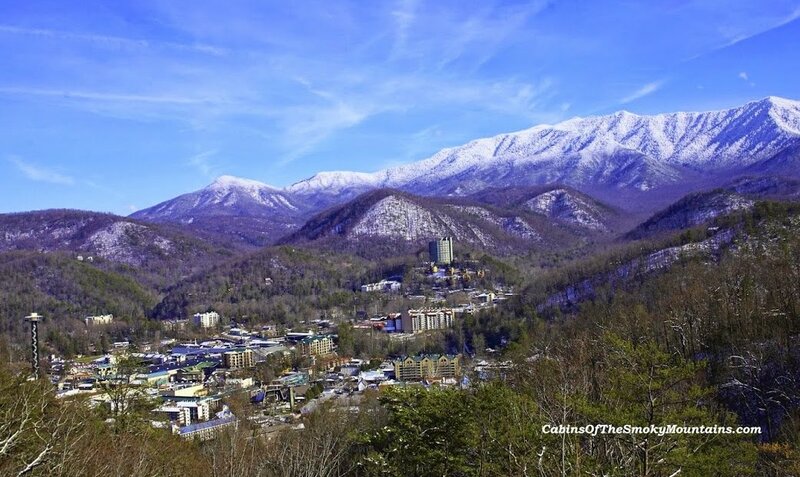 If you like scenic vistas, grab your camera and get fantastic photos of downtown Gatlinburg nestled within the backdrop of the Smoky Mountains. The Overlook is located along the Gatlinburg Bypass, a beautiful way to skirt the town if you’re heading north or south on Highway 441. As you’ll recognize when you get there, the Overlook offers the iconic Gatlinburg view that always looks so amazing in every season – under rain or snow, in the bright colors of spring, or the warm fall colors with their remarkable diversity for which the Smoky Mountains are famous. Read more on the Overlook from this writer. Roaring Fork Motor Nature Trail seems almost too good to be true. It’s less than 6 miles long, but you could literally take all day to travel through it. It could have been a walking trail, but thanks to the Park Service a one-way driving road has been created with all the sights and sounds of a nature hike. The motor trail begins just outside Gatlinburg, and winds uphill and down again, offering views of rushing mountain streams as well as a number of log cabins, gristmills and other historic buildings. Several trailheads are in reach of the motor trail and there are numerous places to stop and sit or wander around, as well as two scenic overlooks. Charge your camera before you go. And read our own guide to the Roaring Fork Motor Nature Trail. With free day entry at all park entrances, you can explore up to 800 miles of hiking trails in Great Smoky Mountains National Park. Most trails lead to scenic views, historic houses or gorgeous waterfalls and many of the sights are unique. Some of the more noteworthy trails you’ll find include: Abrams Falls, Rainbow Falls and the Cove Mountain/Laurel Falls trail. Hikes range from easy to hard, and it’s important to know what you’re in for before you set off. See our guide to Hiking in Great Smoky Mountains National Park. As the gateway to the Smoky Mountains, Gatlinburg, TN is rich in natural excursions and scenic views. When you’re ready to relax and cut loose from paid attractions and events, just rent a cabin to stay in and hit the road! TRAVEL TIP: If you’re heading this way to see us in the Smoky Mountains, Make sure to check our last-minute cabin deals on the Specials page. We frequently offer weekend getaways at Half-Price! And call us anytime at 855-91-SMOKY.